This weekend alongside Sluice Biennial http://www.sluice.info/ Deborah House Studio is opening to the public. I will be there Saturday 30th September and Sunday 1st October 12-6pm. 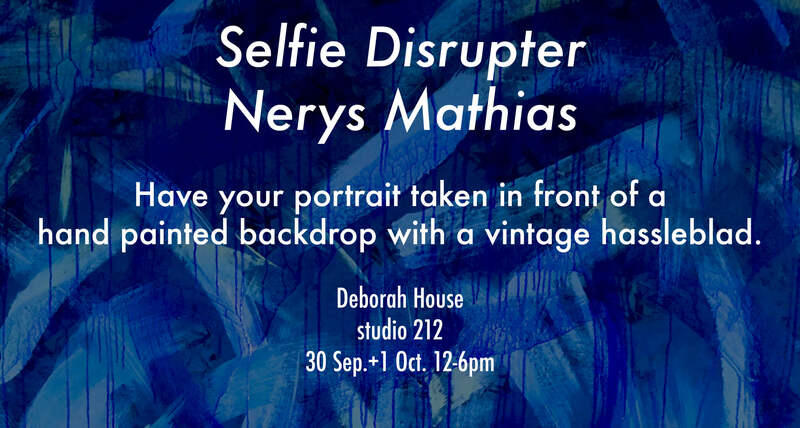 As an anti-selfie I will be taking portraits with my vintage Hasselblad using my hand painted backdrops. The backdrops are inspired by photographic backdrops by Sarah Oliphant, the painted backgrounds of fine art paintings such as Van Gogh and Klimt. I am in studio 212 on the second floor. See you there!